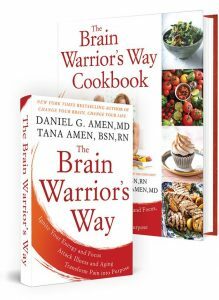 Dr. Daniel Amen:	The Brain Warrior's Way podcast is brought to you by Amen Clinics, where we have been transforming lives for 30 years using tools like brain SPECT imaging to personalized treatment to your brain. For more information visit amenclinics.com. Dr. Daniel Amen:	Welcome everybody. We have a very special love infused week on The Brain Warrior's Way podcast. We have a very special guest. Tana Amen:	I wore my special love shirt. Dr. Daniel Amen:	Before we introduce Natalie, this is [Zane] here. Do you want to read it? Tana Amen:	Yes, we have a testimonial. I'm so relieved and more than glad that I found a book by Dr. Amen that was on its way to the trash. Dr. Daniel Amen:	Oh no. Tana Amen:	I firmly believe that Daniel saved my life from laziness, unmotivated lifestyle, negative thinking, obesity and maybe homelessness. Wow, thanks for existing Dr. Amen. Dr. Daniel Amen:	That's why we do what we do to save you from the bad habits that will steal your life. Natalie is our social media director. Natalie is a graduate from USC, which has been in the news a lot recently. Tana Amen:	Nice and one of my favorite people. Dr. Daniel Amen:	We just adore her, and was your idea actually to interview the two of us about love. Welcome to The Brain Warrior's Way podcast. Natalie:	... that you'd like to share with us. Tana Amen:	Let's get started. I think we have a lot. Dr. Daniel Amen:	Do you want to start? Natalie:	Which is the first most important thing. Tana Amen:	Right. We actually talk a lot about what kind of relationship we want to have, and then what do you have to do to have that kind of a relationship. Dr. Daniel Amen:	We use our brains. We actually program our brains to tell us what we want. When we first got together, it was a rocky first year. Tana Amen:	Yeah I think it's important people know that. Dr. Daniel Amen:	... it wasn't instantaneous chemistry, although totally was for me, just wasn't for her. Tana Amen:	... I want to explain to them why. Dr. Daniel Amen:	... of alchemy, that we were very fond of each other immediately, were very fond of each other. You made my heart go fast, like I just got shot with cocaine. You didn't have the whole cocaine thing, but we were so fond of each other that one of our friends said, “You don't need so much chemistry as you do alchemy.” That was a game changer for us. Tana Amen:	Huge it was. I need to explain something because I really liked you, but this is important for I think for a lot of people watching since you brought this out. If you are coming into a new relationship with past trauma or past issues, I hate the word baggage but past issues, it can really affect what you come into a new relationship, or how you come into a new relationship. I had a lot of trauma especially from the divorce I had just recently gone through. It was really difficult. With going through that, it really affected how I trusted myself. If I can't trust myself, I certainly wasn't going to trust you. Based on that I thought, “I'm never going through another divorce like that again.” I really had to be careful. I also didn't believe that someone like you really existed, so my template wasn't set for someone like him. I kept thinking, “Okay, no one's that nice, honestly no one's that nice”, because it wasn't my experience. Dr. Daniel Amen:	Actually, what I tell people, I actually spent a lot of time this week with a number of my patients going, 'cause they had really big trust issues, I said and you're going to think this is terrible, but I absolutely believe it, all of us are out for ourselves, it's just the more sophisticated you are, the harder it is to tell. Initially, that makes people really upset, but it's like, just be honest and make sure your goals are aligned. If we're all out for ourselves, I mean I love you because I feel awesome when I love you because you love me back, that that's okay. You just want to make sure your goals are aligned. Then you have to tell your brain what you want. We developed what is basically a little mission statement for our relationship. We want kind, caring, loving, supportive, passionate relationship with each other, even though we don't always feel like that. Dr. Daniel Amen:	We always want it. Natalie:	Right. I think one of the things that Daniel has said a lot, and I think it's so important for our listeners is that coming up with somewhat of a mission statement, something that you live by every single day. Daniel talks about this a lot, and I think it's very funny, but it's so accurate in so many different relationships is like, I may have a thought one day that Tana is not listening to me or Daniel is not listening to me. I initially being charged I want to act on that instead of kind of going back to “Okay, what do I want out of this relationship? I want a loving, kind relationship.” The statement that I'm going to make now, is that going to reflect positively and get me what I want? Tana Amen:	By the way, the same holds true for teenagers. 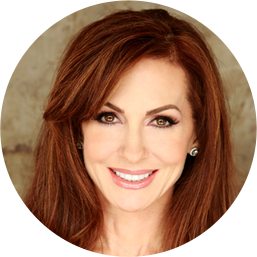 Tana Amen:	Don't say everything you think if it's not going to get you what you want. Dr. Daniel Amen:	All right. It starts by programming your brain, what do you want, and then you ask yourself, I ask myself every day, “Does my behavior get me what I want?” That's not selfish because what I want are good things for my relationship with you, for my relationship with the people I get to work with, with my kids, with our business. Does my behavior get me what I want? Therefore, I'm not driven by my urges or by what culture says I should do. Tana Amen:	Feelings and thoughts and right. 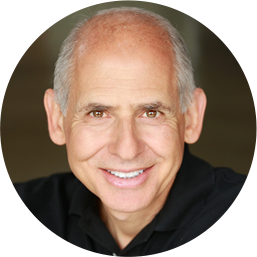 Dr. Daniel Amen:	I'm driven in a goal directed way, which is the front third of your brain. You have to program your pre frontal cortex, and it will help you. You also have to not hurt it, which gets people into so many problems, because they have trouble there. Natalie:	I think a lot shifting towards social media, a lot on social media we talk about self love, and that's really huge right now. Is there anything that you do individually for yourselves maybe independent of Daniel that you live by? Tana Amen:	Yeah so first of all, I want to talk about that self love. I think there's a difference between self centeredness and taking self care. I really don't like some of the stuff on social media that really focuses on being self centered, 'cause that can be very destructive especially in a relationship. Self care, it's a joke between us. If I don't work out, he's like, “You need to go work out.” I'm just not the same person. I'm happier. Dr. Daniel Amen:	Well it's an antidepressant. Tana Amen:	For me, I use it as medicine, right. Doing things like that that you know make you more grounded, more centered ... I meditate. I have to do certain things that keep me, so I have to work a little harder on not letting the negative thoughts come in than he does. I always joke that he's got Mickey and Minnie in his head doing the waltz. It's the happiest place on Earth right? Tana Amen:	It's just ridiculous, nothing bad can happen. That's not my head. That's not my childhood, it wasn't my past, it's not my experience. I work a little harder at it. It's still manageable, I just have to work at it. Natalie:	Daniel, is there anything that you do? Any self love rituals? Tana Amen:	Yeah he wakes up. Natalie:	Yeah he wakes up happy. Dr. Daniel Amen:	I start every day with today is going to be a great day. That way my mind finds why it's going to be a great day. I get to do this with both of you, so I do that. I end every day with, “What went well today?” I actually will say a prayer at night, and then I'll go, “What went well”, just trying to find three things because it sets my dreams up to be happy. Where you bring your attention determines how you feel. Then I make her almond milk cappuccino in the morning. I do that purposefully because it's just a simple act of love. Then we'll spend 10 minutes just sort of chatting about our day. Tana Amen:	We have our little group meeting, our family meeting, but he'll often say to me, “Did I tell you I love you today?” I'm like, “You made my cappuccino.” It's to me like even if we get busy, it's those little things that sort of make a difference. Tana Amen:	But they're rituals. Natalie:	... they're rituals that you look forward to doing together, maybe that's a walk, maybe that's meditating together, maybe it's having your morning together? Tana Amen:	The morning for sure, the morning time together. We try to eat dinner together, even though like he travels and sometimes we're not able to because of that, but we try to eat dinner as a family every night when we can, even if we have to order out because we got home so late, we eat together. Dr. Daniel Amen:	We will continue this in the next podcast. We want your relationships to be as loving as possible. It's so important. I always think the first part, you have to know what you want, and then two, be responsible for it. What is it I can do today? What is it you can do today to have a great relationship? Tana Amen:	If you're enjoying The Brain Warrior's Way podcast, please don't forget to subscribe so you'll always know when there's a new episode. While you're at it, feel free to give us a review or five star rating, as that helps others find the podcast. Dr. Daniel Amen:	For more information, give us a call to 855-978-1363.